Have you ever been so happy you cried? Angga is a young mother with fiery enthusiasm. Her father Karding was a 13 year-old who hung around watching Bill build our first house in the village. Bill was one of the “old men” who spoke at Karding’s wedding. 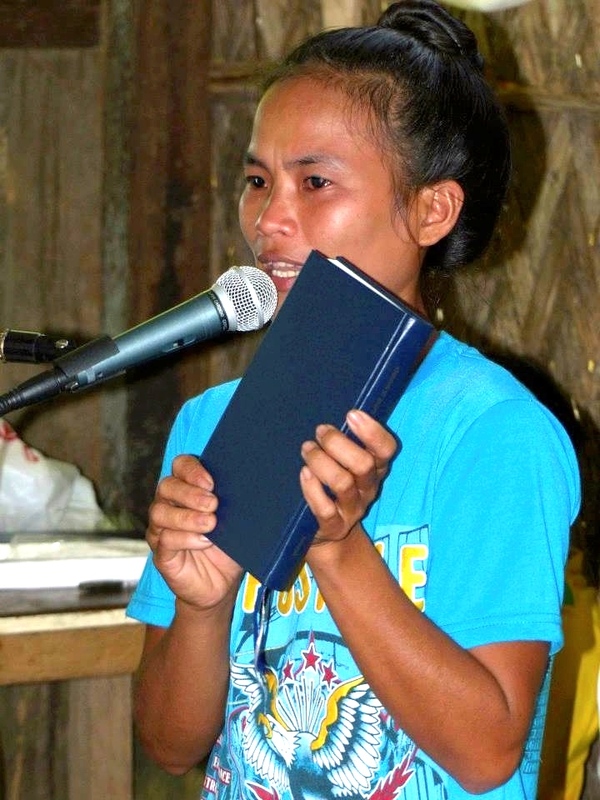 Now his daughter Angga has grown up with a passion for God’s Word. She urged everyone to “read and obey” this book. The heat and humidity was oppressive, and we are no longer acclimated to the tropical climate. Bill even had to cut his message short as he felt faint. But the overpowering emotion of the day was joy. 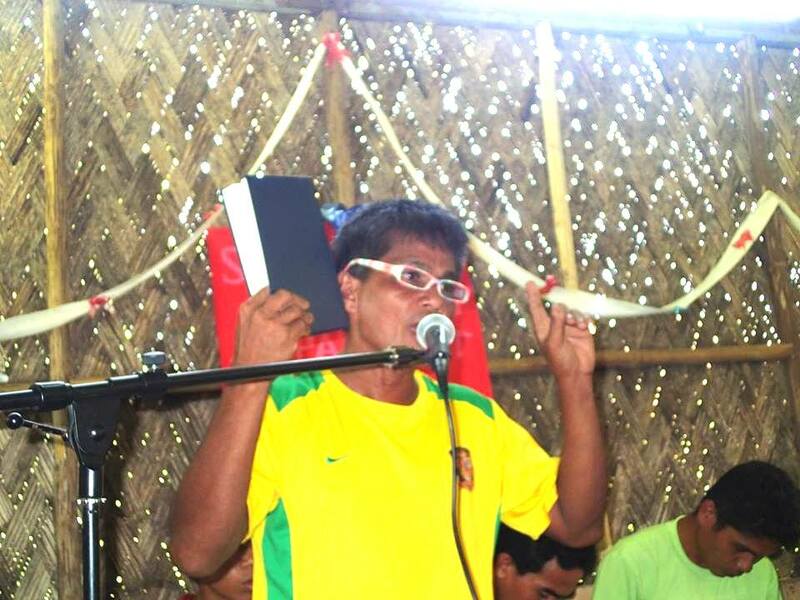 We were so glad to see God’s Word in the Palawanos’ hands at last; so glad to hear their testimonies and exhortations. Angga’s aunt Karing was another one of Elisa’s friends, playing with dolls in our home years ago, in between several forced child marriages and divorces. Now she is a faithful Christian, and married to Rinard, who is a church leader. 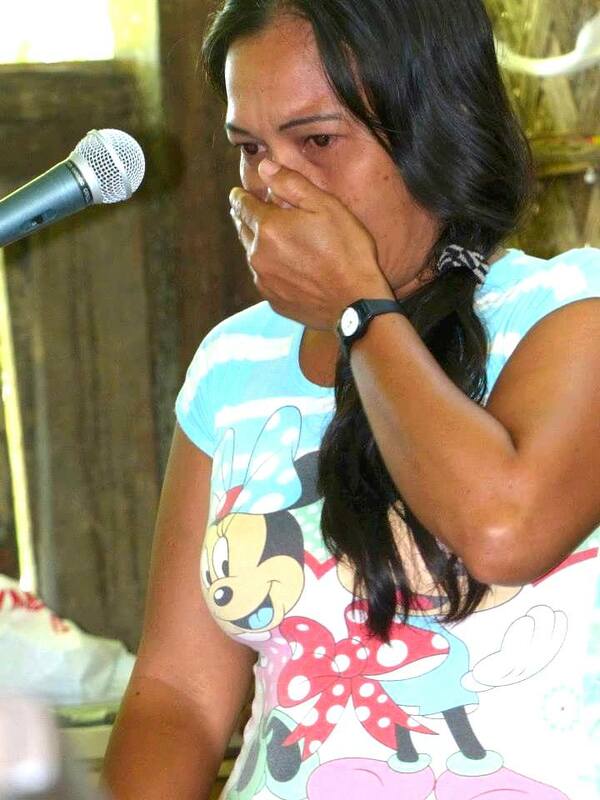 She cried as she thanked us for coming to bring them God’s Word. 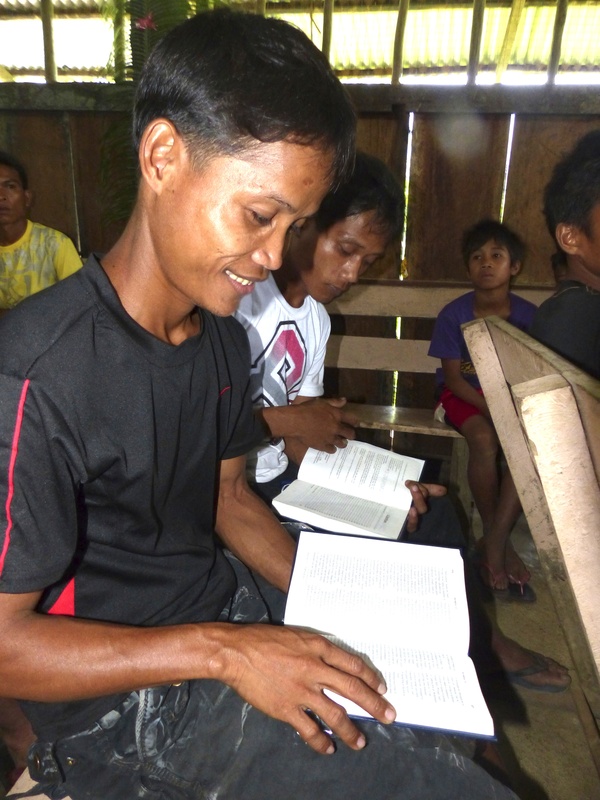 Believers came from far away to celebrate with us and to get their copies of the New Testament. 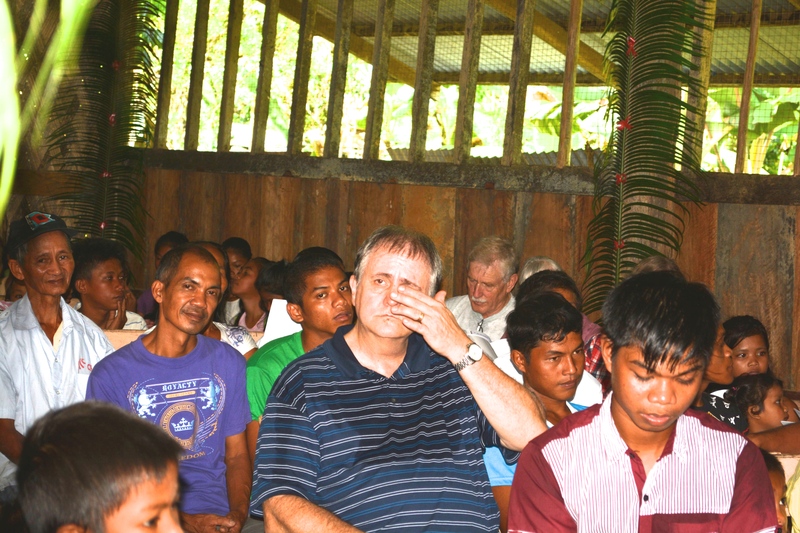 Several came from Kementian, where our partner’s outreach has grown to a thriving little church who desire to take God’s Word and reach out to others. Rinard was a quiet, intelligent 6 year-old boy when we first met him. He worked diligently on the math problems and spelling lists Elisa gave the kids when they played school. When he got tuberculosis as a teenager, he wanted to help pay for his medicine, so he sat in the corner of Bill’s office, coloring the pictures Bill used to teach Bible stories. His attention to detail made sure that Moses’ clothes looked exactly the same in every picture, Aaron’s and Abraham’s were different. 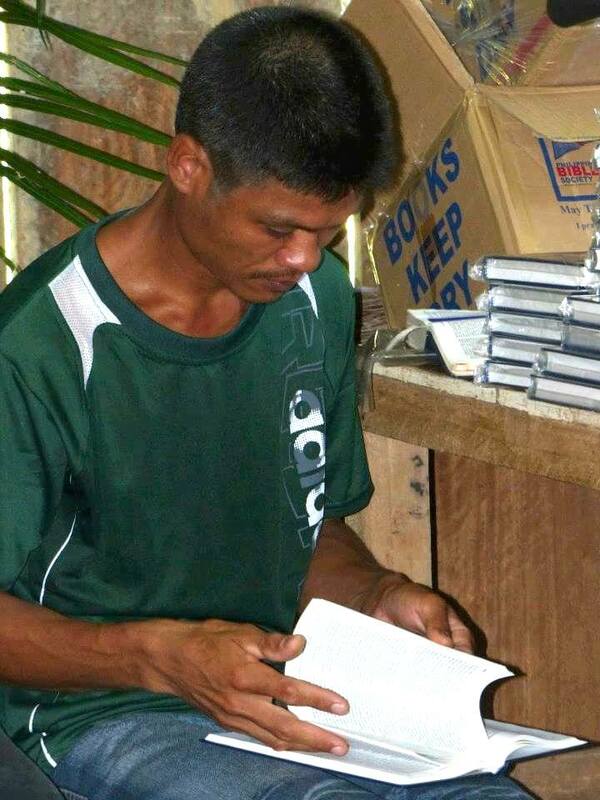 Now he is a church leader, giving that same concentration to his study of God’s Word so he can teach others. 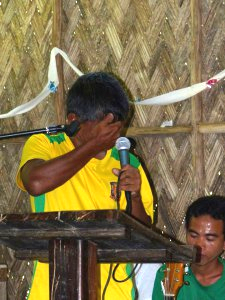 It was our privilege and joy to know these Palawanos through several generations, to teach them and by God’s grace, to give them the New Testament in their heart language. We are so grateful to each one who helped and played a part in this ministry, so that this day could become a reality! Pray with us that God’s Word will have a powerful, immediate and long-lasting effect on Palawanos’ lives and their communities. Pray with us, too, as we prayerfully seek God’s will for our next phase of ministry.